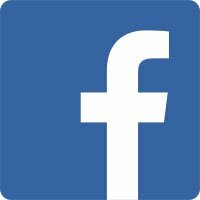 Thank you to everyone who helped make the 2019 parade a success! 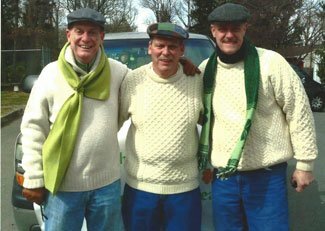 Congratulations to the Nally Brother’s who have been selected as the 2019 Kings Park St. Patrick’s Day Parade Grand Marshal! and through all parade committee members. 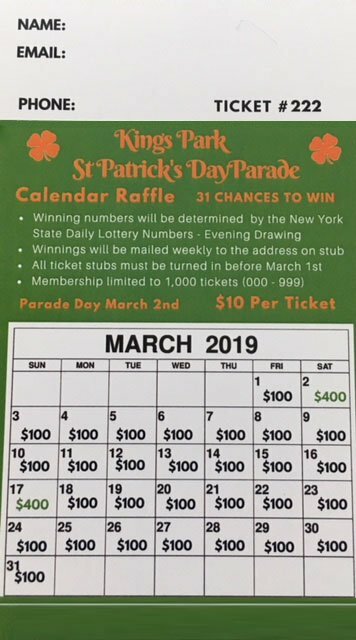 The Kings Park St. Patrick's Day Parade is held on the first Saturday of March every year. 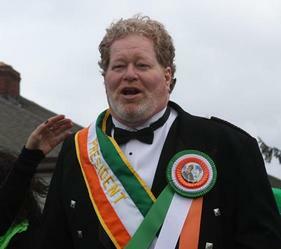 The parade was founded in 2011 by Kevin "The Professor" Denis, the owner of Professor's Diner in Kings Park, New York and celebrates the Irish cultural roots of Kings Parkers. The parade features numerous bagpipe bands, floats, hundreds of marching community organizations, and a tribute to a Grand Marshal who has made great contributions to the Kings Park Community. Thousands of Kings Parkers and people from surrounding communities turn out on Main Street to see Irish eyes smiling with Kings Park Pride! The Parade steps off at the corner of Lou Avenue and Pulaski Road, continues down Main Street, turns onto Church Street, and ends down Old Dock Road at the William T. Rogers Middle School.